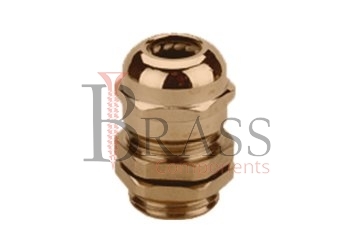 IP68 Cable Glands are manufactured from polyamide, nylon, brass, nickle brass, stainless steel and other material composition as per custom requirement. The standard range of IP68 Cable Glands complies with BS: EN 50262:1999 Standards. The manufactured range of IP68 Cable Glands are available with different threading option and assemble in different ways. IP68 Cable Glands available in varied clamping range for providing strain relief. Depend on variety of applications for IP68 Cable Glands are available with different types of Cable Gland Accessories including Lock Nuts, Serrated Washers, Earth tag, Reducer, Neoprene washer, Adapter and more. Temperature Range: -25°C to 100°C. Enhanced Strain Relief according to EN 62444. CE, UL and cUL Approved IP68 Cable Glands. Provide twist proof protection and installation. IP68 Cable Glands available with combination of reducing or multi-purpose seals. Suitable where IP68 Protection is required against liquid, chemical, water, dust, twist and vibration. For routing, sealing and strain relief of cables and assembly. Designed to protect electrical installation and connection. 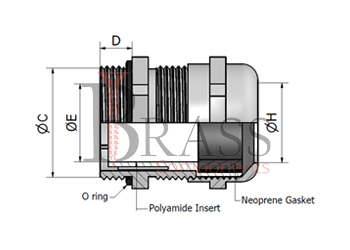 IP68 Cable Glands provide a secure seal n variety of applications. We manufacture IP68 Cable Glands as per Custom Specification and export in Germany, Spain, Netherlands, Portugal, UK and other European Countries. For more Information, Please Contact Us or Inquiry Now.